You want more of the 2013 Hyundai Genesis Coupe? Doesn’t matter, you got it. 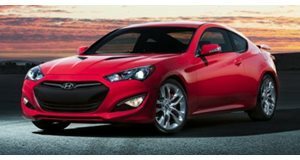 Hyundai is pushing out photos of the 2013 Hyundai Genesis Coupe fast and furiously, as the first official photos of the new model have been released. This comes on the heels of the car being shot from every conceivable angle yesterday, so these photos appear a bit superfluous. The South Korean automaker released these photos on their Facebook page, commenting quickly that it will run on the powerful V6 (3.8-liter with direct injection from the 2012 Genesis sedan that puts out 306hp and 266lb-ft of torque). The 2013 Hyundai Genesis Coupe will make its debut at the 2012 Detroit Auto Show. Check out the first official pics and let us know what you think about the Korean coupe&apos;s new design.